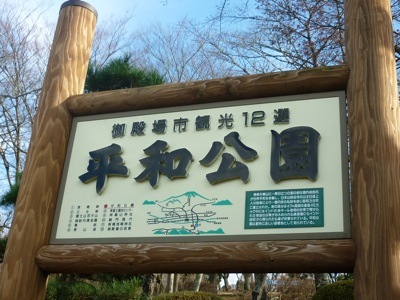 Peace Park (平和公園) Hakone is another famous place to capture the breathtaking view of Mount Fuji. Also it is a crowded place during sakura season. Both sides of the road leading up to the peak of a small hill are full of sakura trees. You can imagine how beauty this Japanese style park is during the blooming season – it is said to be around March. 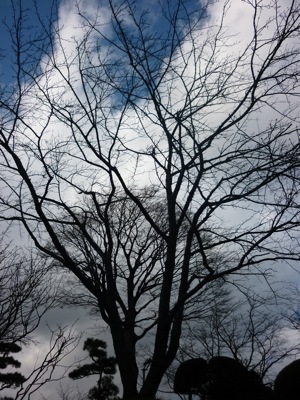 But at the time we went there, we could only see branches. Going around this park requires stamina as one needs to climb up a hilly tarred road. 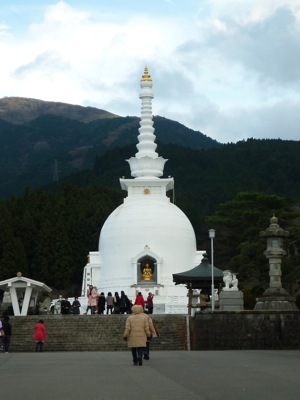 On top of the hill, stands a pagoda with golden Buddha.